I’ve been busy in the screenprinting studio and i’m pleased to report my latest screenprint is now finished! As usual it seemed like i did a million colour samples *( it looked like it too!) 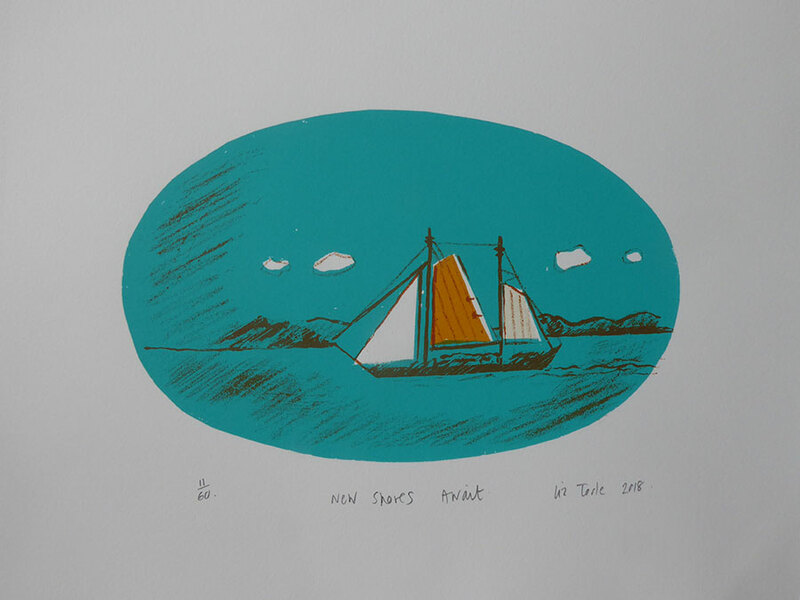 and I have once again chosen two different colourways of this print, a night and day choice. I’m very very pleased with them, i hope you like them too! Thank you to everyone that came by my Open Studios weekend, it was such a great event, i met lots of lovely people and had great sales too. Thanks so much! I’ve also just been invited to once agian take part in The Great print Exhibition at The Rheged in Penrith. Its such a fabulous show and this will be the 4th year i’ve taken part! I’ve also recently reproduced a selection of my paintings and prints as cards, they’ve been selling incredibly well. You can buy them from me online or from the lovely galleries that i show my work. I’m planning to add to the range very soon. My new screenprint on wood….